Fish Report - Still At It !! the H&M fleet is out with over 400 passengers enjoying good weather- Yes, GOOD weather, and fishing that speaks of a season going long & strong. Yellowfin Tuna is still steady top catch with limit or near limit numbers reported. 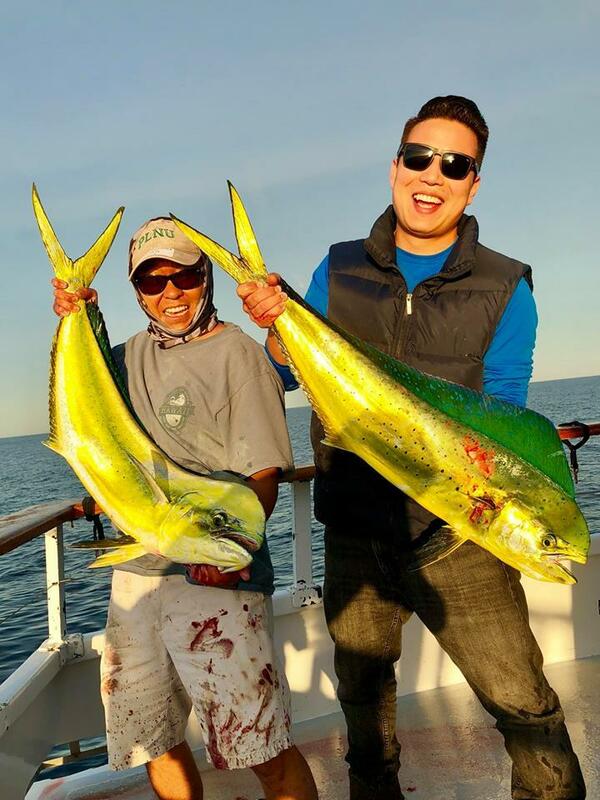 Yellowtail, SkipJack and Dorado continue to be part of daily counts with Bluefin appearing again. Why wait for a weekend? Don't let this season be "the One that Got Away!" H&M Landing has Fishing Adventures departing Everyday! Check out the Trip Calendar and Book Yours!